The awaited analysis of the AirPods 2, the second generation of the wireless headphones of Apple arrives, a device that has gone from being reviled to become one of the company’s best-selling gadgets. What differentiates the new AirPods 2 from the first version? Worth? We answer these and other questions in this comprehensive review of the Apple AirPods 2. Rare, pretentious, unnecessary these were some of the qualifiers that could be read on the networks when at the end of 2016 Apple released the AirPods, their first wireless headphones, not to mention the amount of memes and jokes that arrived even to compare its now characteristic design with the head of an electric toothbrush. Almost two and a half years later the situation is very different, critics and detractors have not disappeared, although many more have jumped on the bandwagon. You just have to take a ride on public transport in any big city to realize its tremendous success. 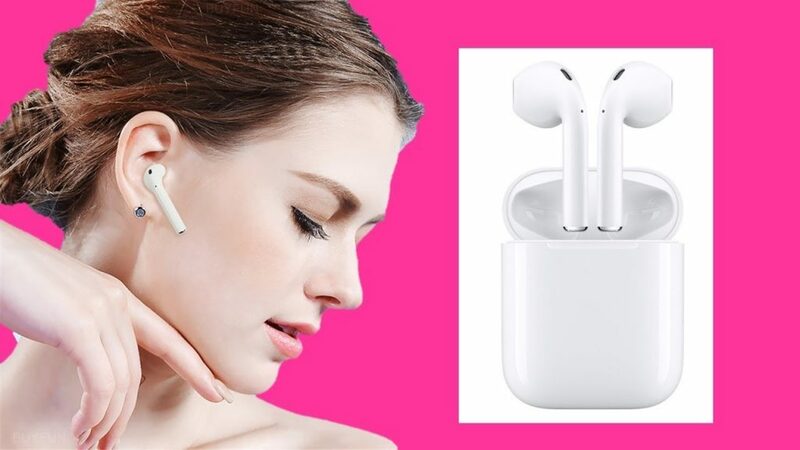 There is no doubt that we are facing one of the fashionable gadgets, imitated to the point of satiety they have managed to seduce even the most reactionary with the Apple ecosystem, not being strange to find Android users with AirPods in their ears. Faced with this success, many were eagerly awaiting a second version that managed to solve some of the less convincing aspects of the original model, as well as adding new features. The AirPods 2 that we are reviewing today are Apple’s response to these requests, although it may be that many may know little by little, do you want to know why? 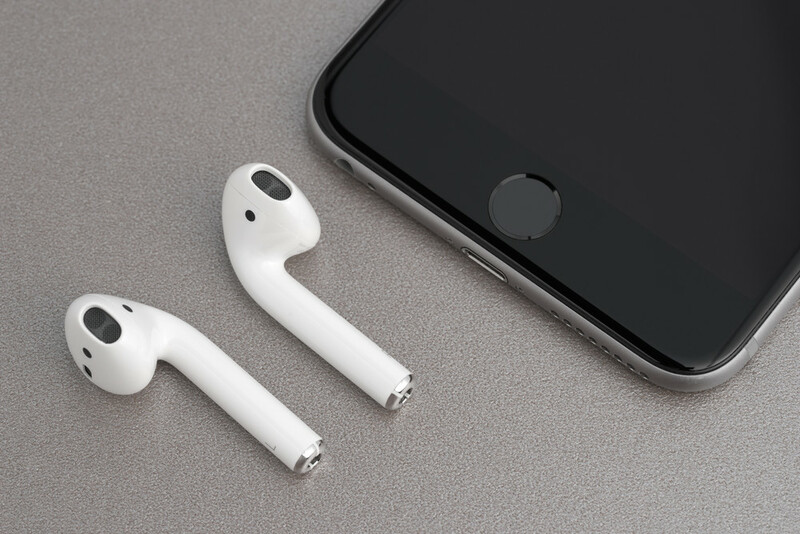 We tell you in this analysis of the Apple AirPods 2. At first glance, there are no differences with regard to the headphones with respect to the previous version; they are identical in design, size and weight. It is true that aesthetically they are a little strange, but the need for physical space for the battery makes it seem impossible, at least for the moment, to dispense with that prolongation that is so characteristic that it would make it much more discreet. Personally I do not dislike the continuant design, at least as far as aesthetics are concerned, maybe I have already gotten used to it and I find it even attractive. My critics are more focused on ergonomics where Apple comes back again, in my opinion, to stumble on the same stone. And is that the AirPods 2 are not comfortable for all ears. In my case I find it annoying during the first minutes, after that time it becomes bearable, although I never feel comfortable with them, always leaving some fatigue and a sense of relief when I take them off after a prolonged period of use. Apple looked with the EarPods – predecessors of the current AirPods – the most universal design possible to be comfortable for the vast majority of people, although a slightly smaller version, something similar to what Apple does with the two versions of the Watch, or a system of interchangeable pads, little glamorous but proven effective, could universalize its use even more. They do not have water resistance certification, although they do not seem to have big problems at least with sweat if we consider the large number of people who can be seen on the streets and gyms practicing sports with their AirPods in their ears. In my case I could make a couple of incursions in the gym with them, insufficient to demonstrate their resistance to sweating, but a good test to assess comfort and how they fit in the ear. Regardless of the level of comfort I have to say that the fit inside the ear, at least in my case, is perfect. I have not felt at any time during this review of AirPods 2 fear that any of the headphones could fall to the ground or get lost, not only on a daily basis, also in demanding situations such as running or riding a mountain bike. They maintain their usual white color throughout the whole, without the possibility of alternative colors. 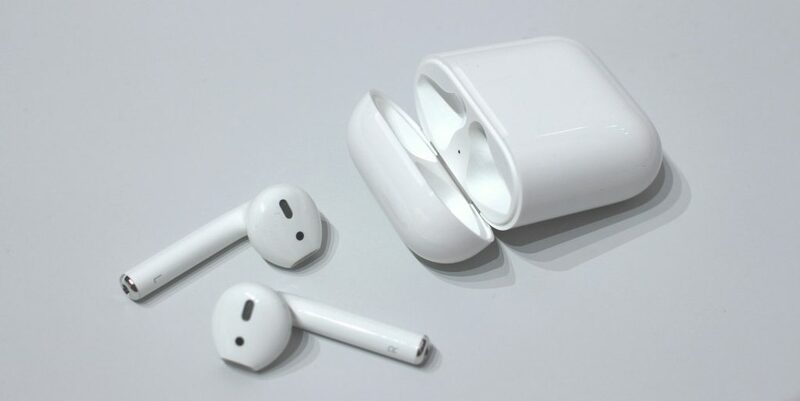 It might have been a good idea to expand the range of colors, betting on a more discreet (and cleaner) color than white with a glossy finish; In addition, it would have served to provide a differentiating element compared to the original AirPods. And it is only in the cargo case that we find some subtle differences compared to the first AirPods. Now we have two alternatives: with or without wireless charging, although the only visible visual difference is found in the new location of the status LED, which goes to the outside, allowing you to consult it in a more comfortable way without having to open the top, simply by pressing the button on the back that goes to occupy a more centered position with respect to the case of the first AirPods. Green: at least one full charge or the battery of both headphones is above 50%. Red: the battery is charging. Although the best way to check the status of the load of both the case and the pair of headphones is by bringing it to an iOS device and opening its lid. In addition, if you take out one of the headphones from the inside you will know the exact independent load of each headset, interesting if as I am one of those who sometimes do not want to isolate you and only use one of them. Apple estimates the useful life of the headset’s battery in about five hours in audio playback and three in conversation, there are similar models that exceed this data, but they are still appreciable if we consider their dimensions and weight, in addition to the total absence of cables. The case allows extending the load until 24 and 18 hours respectively; and has a fast charging system with which you get up to three hours of listening, or two hours in calls, with only 15 minutes of loading time. Corroborating this data is complex, since in everyday use we will rarely listen to music or talk on the telephone in such a continuous way, it is normal to make a mixed use with intermediate recharge periods inside the case. In the tests conducted, the results closely resemble those provided by Apple, which says a lot in its favor. 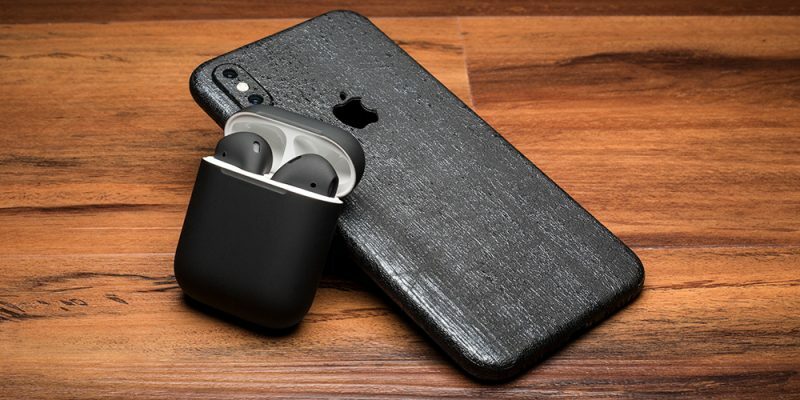 The wireless charging case is compatible with the Qi standard, the same as the iPhone and many of the market Android phones, so you can load the AirPods 2 simply by placing them on the same base you use for any of these devices. 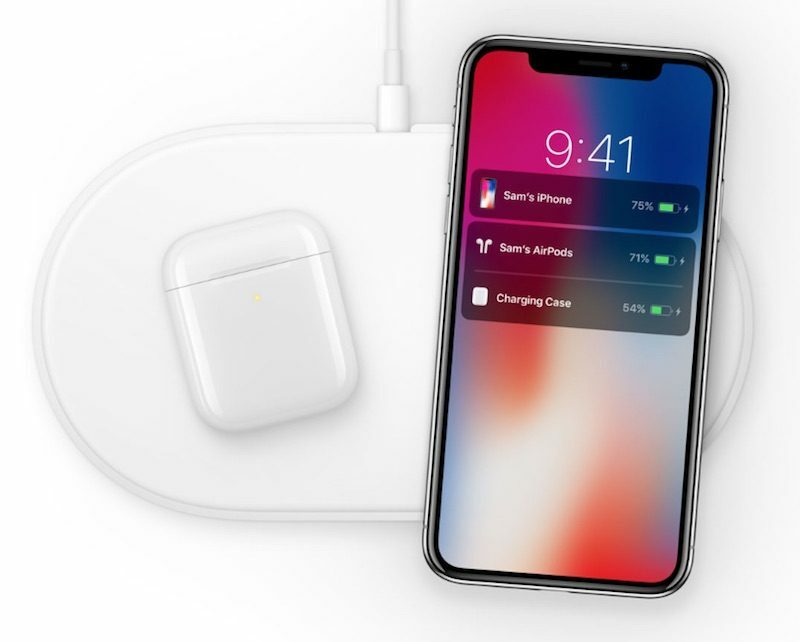 Even as I could buy for this analysis of the Apple AirPods 2, it is possible to charge your batteries using the shared wireless charging system of a Samsung Galaxy S10, Huawei Mate 20 or P30, quite an irony. Wireless charging occurs at a maximum of 5V, which takes about three and a half hours to complete a cycle of full charge of headphones and case starting from a full discharge status; this same cycle takes just over two hours if we use the Lightning plug and a conventional iPhone charger. The difference is obvious but we have to take into account that it is a very extreme circumstance, it is usual to recharge the AirPods without completely exhausting the battery, so the load times are not as relevant, by against the wireless charge it is extremely comfortable and consistent with the wireless philosophy of the headphones. If you are clear that you want to buy some AirPods 2 the wireless charging case seems an almost obligatory purchase. 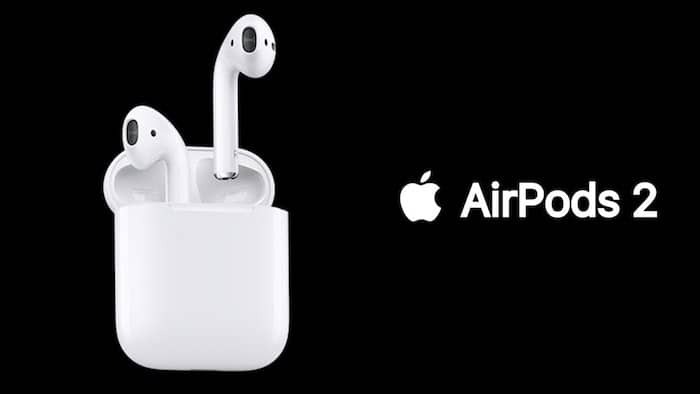 Responsible for much of the changes in the new AirPods 2 is its new H1 chip, designed specifically for headphones and replacing the W1, whose new version has been exclusive for the latest generation of Apple Watch. 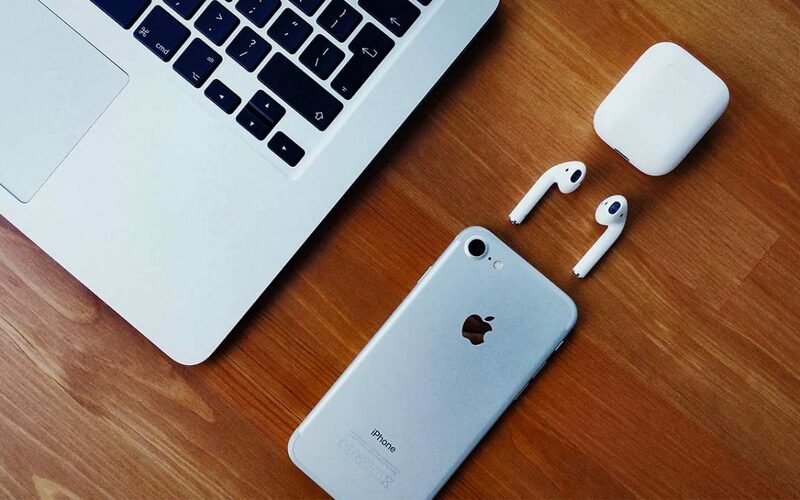 A new chip that focuses its improvements on aspects directly related to the use of AirPods 2 as the active listening of Siri, the reduction of latency, a faster and more stable connectivity, or improvements in the capabilities of the microphone and its use in adverse environments . They incorporate Bluetooth 5.0 connectivity for a faster and more stable connection. With an iPhone or iPad the pairing is almost instantaneous, surprisingly fast, a little more than two seconds from the opening of the lid of the case. Accustomed to the frequent micro-cuts and synchronism losses of most bluetooth headphones, the almost total absence of them in this AirPods 2 has surprised me in a very pleasant way. There is also a substantial improvement in range that has allowed me to move around the house without worrying about the iPhone being at the far end of it. 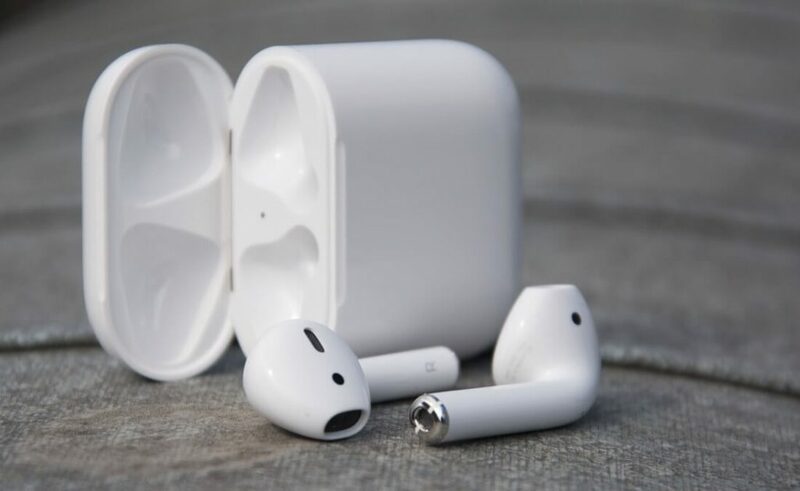 What is still not possible is to be able to connect the AirPods to more than one device simultaneously as other similar headphones do, capable of automatically selecting the last active source as the main sound source. In my case I usually work listening to music from my Macbook and it would be great to be able to answer the incoming iPhone calls with the AirPods without hastily selecting them manually. At least switching between devices is a very fast process, almost instantaneous, something that is appreciated. According to the specifications offered by Apple, the new H1 chip also offers 30% lower latency when it comes to receiving calls, playing games or watching videos. Certainly it is difficult to evaluate this feature since in this aspect I have never had an experience that could be considered frustrating with other headphones with similar features. In the calls, if it is more evident, the number of occasions in which the phrases of the conversation overlap each other is drastically reduced, something very common in calls where one of the parties uses hands-free, and the experience is practically identical to putting the phone directly in the ear. Another of the great novelties of the AirPods 2 is the active listening of Siri, if in the previous version to speak with the voice assistant we had to invoke it by means of two small touches in one of the headphones, now we can simply say “Hey Siri” in any moment to invoke it. Otherwise there is no difference with respect to its use on the iPhone, except for the visual type responses in which obviously we will have to resort to the phone screen. The response time is somewhat slow and sometimes a bit exasperating, there are several occasions in which I repeated the order thinking that it had not registered well coinciding with the response and creating a small confusion. Besides some more agility, I miss some kind of auditory response that validates that Siri has listened to us and that is processing the order, would help to minimize this type of situation. The active listening of Siri has served to release the gesture of the two touches on the headset for new functions, in addition AirPods 2 can distinguish the double pulsation independently in each headset which opens slightly personalization options, although less than what we would have liked since no new gestures have been added. The options are limited to one action per headset when double-clicking to choose between: Siri, Play / Pause, Next Track, Previous Track or do nothing. In addition, it continues to maintain ear detection that allows you to pause and resume playback automatically when you remove or put on the headset.